An intimate shrine at Seegrotte, the underground lake near Hinterbruhl, Austria. Seegrotte shares the title of being the largest underwater lake in Europe with Saint-Léonard in Switzerland. As to which is larger I know not, but I have visited Seegrotte and can recommended it as a fun place to explore and photograph. You can reach Seegrotte, via a pleasant drive through the Vienna Woods, from the capital Vienna. This photo depicts a shrine to miners who had lost their lives onsite. The light was eerie being produced by a mixture of artificial light sources. As I didn’t have a tripod with me I had to push the ISO up to 3200 to achieve the 1/30 second @ f/4 exposure. Eerie light illuminates the huge and mysterious underground lake, Seegrotte, near Hinterbruhl, Austria. Seegrotte is situated underneath a former Gypsum mine inside a mountain near the town of Hinterbruhl, Austria. The lake was formed when the ceiling above collapsed flooding the cavern with 20 million litres of water. The lake, part of an underground cave system, is 60 meters below ground. So, even though I visited on a very warm Summer’s day, it was cold inside the mountain. I visited the mine as part of a tour which included a boat ride across the underground lake. It reminded me of the lake below the goblin tunnels where Bilbo first met the creature Gollum in J.R.R. 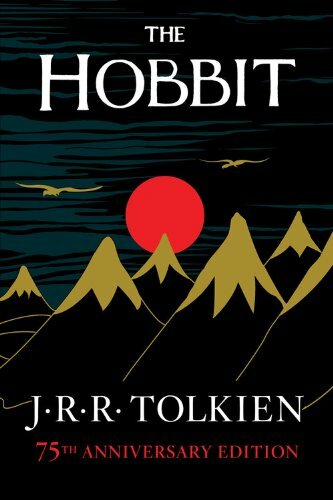 Tolkien’s classic novel, The Hobbit. But this place goes beyond mining and the fantasies of this writer. During World War II Nazi Germany used the site to build the world’s first jet fighter, the Heinkel He 162. Inscriptions, carved into large stones, along a corridor at the beautiful Heiligenkreuz Abbey in Austria. Seegrotte also features in the 1993 Hollywood film, The Three Musketeers, staring Charlie Sheen, Kiefer Sutherland and Chris O’Donnell. While I’m not one for formal tours, that aren’t based around the needs of photographers, I have undertaken a handful of half and one day tours, sometimes out of necessity and sometimes to gauge how operators run such tours. It’s an interesting learning experience, though a terrible compromise when it comes to making photos. Still it’s better to be there, then not at all. In the case of my visit to Seegrotte it was part of a one day tour which included a visit to the beautiful Heiligenkreuz Abbey, entry to which is only allowed as part of a tour group. One thing you'll need to be aware of is that, even in the height of summer, it's extremely cold in the subterranean caverns at Seegrotte. Come prepared and enjoy the experience.